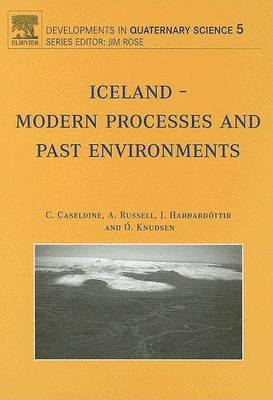 Iceland provides an unique stage on which to study the natural environment, both past and present, and it is understanding both aspects of reconstructing the past and observing and interpreting the present that form the focus of the contributions to this volume. The papers are all written by active researchers and incorporate both reviews and new data. Although concentrating largely on the recent Quaternary timescale a wide range of topics is explored including subglacial volcanism, onshore and offshore evidence for the Last Glacial Maximum and subsequent deglaciation, current glacial characteristics including joekulhlaups and glacial landsystems, soil development, Holocene ecosystem change, current oceanography, impacts of volcanic sulphur loading, chemical weathering and the CO2 budget and documentary evidence for historical climate. The key element of the volume is that for the first time it provides a wide overview of a range of topics for which Iceland provides an almost unparalleled laboratory emphasizing the importance of research on this small island for studies over a much broader global scale. These reviews point the way to future research directions and are supplemented by extensive illustrations and a comprehensive bibliography.